The ROAD Sp. z o. o. company was established in 1993, as a result of privatisation of Przedsiębiorstwo Budownictwa Rolniczego. It is a private company, with 100% of Polish capital, specializing in the production of machines and devices for the production of concrete and precast concrete units. At the moment of its establishment it produced manual and mechanical machines for the production of small-size construction elements. In time it began to implement the production of professional hydraulic machines and concrete batching plants which started to be armed with manual and automatic control. modernization of the machinery park, back-up facilities, as well as the development of production halls. products and services is constantly being improved. We are pleased to announce that our company has been awarded the Business Credibility Certificate for 2009. This prestigious award is given by the Dun & Bradstreet International Business Intelligence UK, the company with the highest stability rating. Certified companies are companies with financial data that guarantee a high level of profitability, ability and liquidity. This certificate confirms that our company is a credible business partner with whom to establish business relationships. 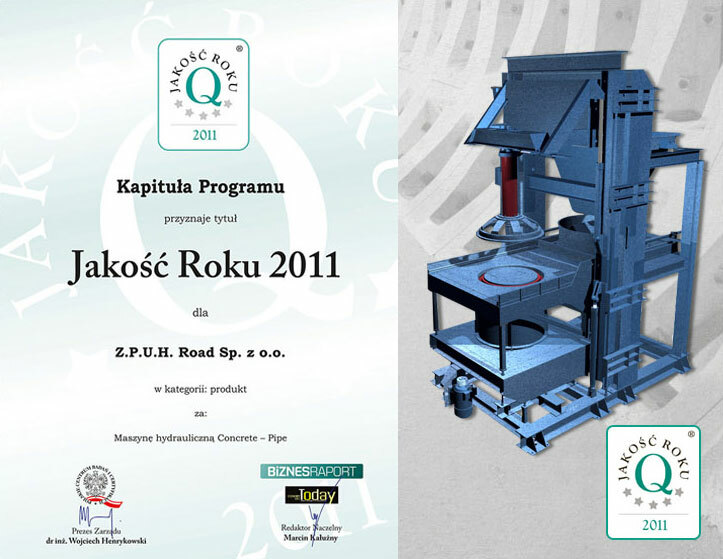 We are pleased to announce that the CONCRETE-PIPE hydraulic machine for concrete production has been awarded the title QUALITY OF THE YEAR 2011 in the competition organized by the editors: Biznes Raport (Dziennik Gazeta Prawna) and Economy Life TODAY (Rzeczpospolita). The Polish Research and Certification Center, the oldest state institution dealing with quality issues in Poland, is responsible for the content of the undertaking. 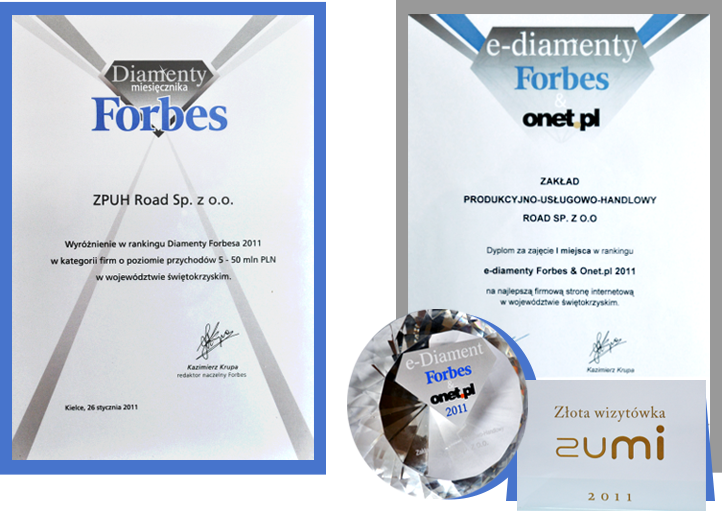 Our company is also a laureate of the prestigious FORBES DIAMOND DAYS 2011 award, awarded to the most dynamically increasing companies. The ranking was prepared based on the value of the company’s assets and the financial results of the past 3 years. 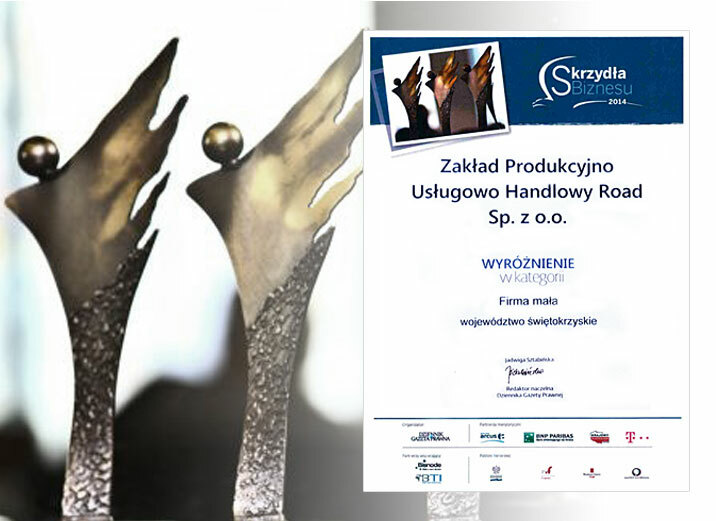 During the gala, we were also honored with the Forbes & Onet.pl e-Diamonds Award, awarded by the Onet.pl and Forbes editorial boards, for the best corporate website in the Świętokrzyskie Province. Business Wings is a ranking of SME companies (small and medium enterprises), organized by Dziennik Gazeta Prawna. Companies rated as the most reliable and achieving the best financial results are rewarded. The project encompasses the whole of Poland. Every year, the project is sponsored by the Ministry of Economy, the Polish Agency for Enterprise Development, the Business Center Club and institutions supporting entrepreneurs both nationally and locally. The ceremonial galleries during which the results of the ranking are announced are accompanied by conferences and special educational supplements to the Dziennik Gazeta Prawna. Our company was honored with “BUSINESS LINE 2014” – in the fifth edition of this prestigious ranking. 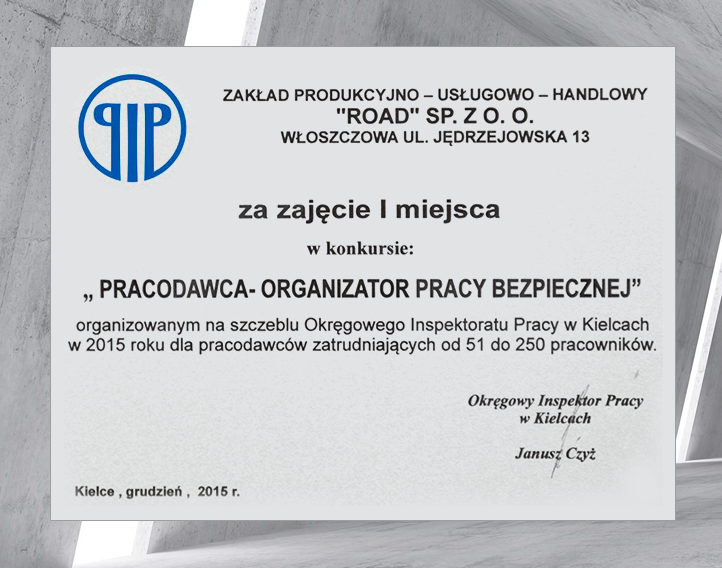 We won 1st place in the competition “Employer – Safe Work Organizer” . Organized by the PIP, aimed at promoting employers who work in a manner that ensures a high level of safety and health protection for employees and compliance with labor law .